For anyone who participated in the excitement of the 2003 Mercedes donated a few weeks ago, you’ll be thrilled to know the end result was astounding! $27.5K was sent to Prostate Cancer Canada at the end of June to raise awareness among men of the importance of early detection. To catch a glimpse of what went on during the auction of the Mercedes, you just have to watch this video! Please excuse the shrieking staff member in the background….that would be me. Listening to Kent’s story it is very clear that research and awareness have impacted the lives of thousands of men, and he does not want anyone to suffer needlessly. What is exciting about this particular donation for us, is that not only does it highlight the generosity towards one charity, but the idea of being able to choose the charity of your choice. 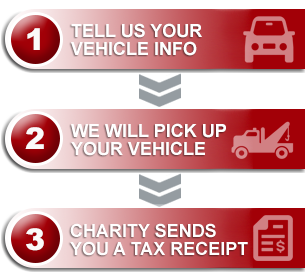 With over 350 registered Canadian charities connected to Donate A Car Canada, you have the ability to donate in a unique way, if you have a vehicle that isn’t serving you anymore. What a thought that it can ‘serve’ others in such an amazing way.